Invesdor, a fast growing Nordic crowdfunding platform, has been granted a MiFID licence by financial authorities, to expand debt and equity crowdfunding services across all 31 EU and EEA countries. 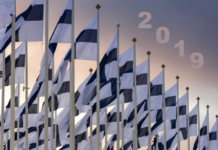 The Helsinki-based crowdfunding platform is the first one to receive this level of operational licence, part of the European Commission’s drive to harmonise financial regulations across Europe. 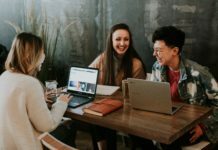 The new licence means that Invesdor will be able to operate freely in Europe, without having to start from scratch in each country, and apply for a new operating licence every time. As Invesdor expands into new countries, startups across Europe can apply for funding on the platform. “Making the fundraising process fair, transparent and standardised for all participants is very important for us” says Invesdor co-founder and CEO Lasse Mäkelä. He continues: “We give growth companies an alternative way of fundraising, and now we can scale our business across Europe”. 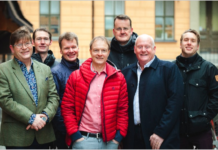 Even before receiving the new pan-European operating licence, Invesdor had established itself as one of the Nordic region’s most innovative, secure and transparent equity crowdfunding platforms, holding a 46% market share in the Nordic region, based on a recent report by the University of Cambridge and E&Y. Invesdor intends to become the largest cross-border funding platform for new ventures in Europe. Tero Weckroth, Chairman of the Board, expains: “We’re not only helping tech and software startups achieve their full potential in a wider market, but other companies in the sports, medical, musical, and hospitality and catering industries are also current clients – including a sequel to a little film about Nazis on the dark side of the moon you might have heard of, called ‘Iron Sky”. More than 30 crowdfunding projects have already raised € 4.4 million of equity-based funding on the Invesdor platform. The largest round received more than 780 investors and the most international round received investments from 27 different countries around the world. 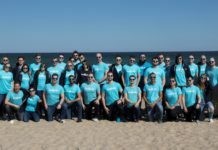 Invesdor was founded in Helsinki in spring 2012 after a group of entrepreneurs saw the difficulties faced by small companies to raise finance, and how individual investors were reluctant to invest their money in a company that was not publicly listed. They combine best practices from the startup side of crowdfunding and the tried-and-true world of corporate finance to form Invesdor. To build its crowdfunding platform, Invesdor itself has raised more than €800K through crowdfunding rounds and public grants. 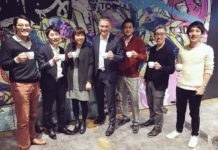 The young company will open a new equity crowdfunding round to the public on May 5 to boost the platform’s international growth, allowing anyone to be part of its growth story.